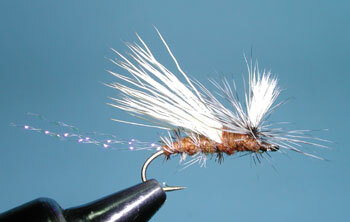 Notes: David Sloan is a fly fishing guide and fly tier based at American Fly Shop in Sacramento, CA. Many of his patterns are marketed through Umpqua Feather Merchants and distributed throughout the world. The Paralyzer was a creation of his about a decade ago being a merging of the highly successful Stimulator and Schoeder's Parachute Hopper. His pattern was tied on a smaller 2xL dry fly hook, the Tiemco 2312, and could be used for small stoneflies and caddis imitations. David tied these in three colorations, Orange (October Caddis), Olive (Caddis), and Yellow (Little Yellow Stones). Soon, legs were added to the pattern and a Tan coloration was added for imitating the lighter colored small hoppers and stones of late Summer. A few years ago, David adjusted the pattern once more by tying the pattern on a Tiemco 100 or 101 hook. 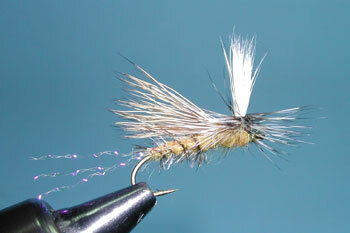 This condensed version became known as a Caddis Paralyzer, generally tied in Olive, size 14-16, and met more of the needs of a caddis pattern in the smaller sizes. 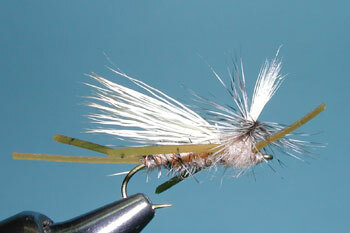 What makes this is an exceptional pattern is the Parachute hackle and the caddis-type wing that resides on the top of the shank. 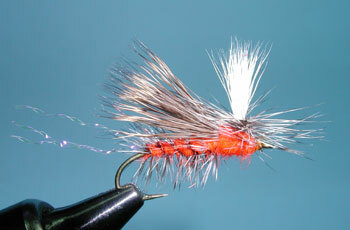 As a result, the fly rests well within the surface film presenting a clear view to the trout. The wingpost makes the pattern quite easy to see and the heavy hackling gives this fly great floatability in turbulent waters. Either Hollow Deer Hair or Elk Hair can be used for the wing. 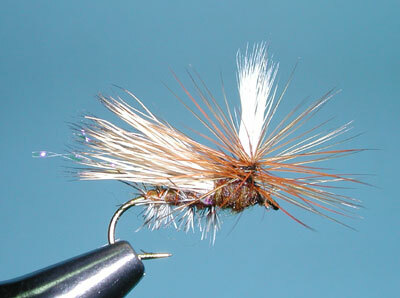 The preferred presentation of this pattern is an upstream cast allowing a drag-free drift through runs and riffles.